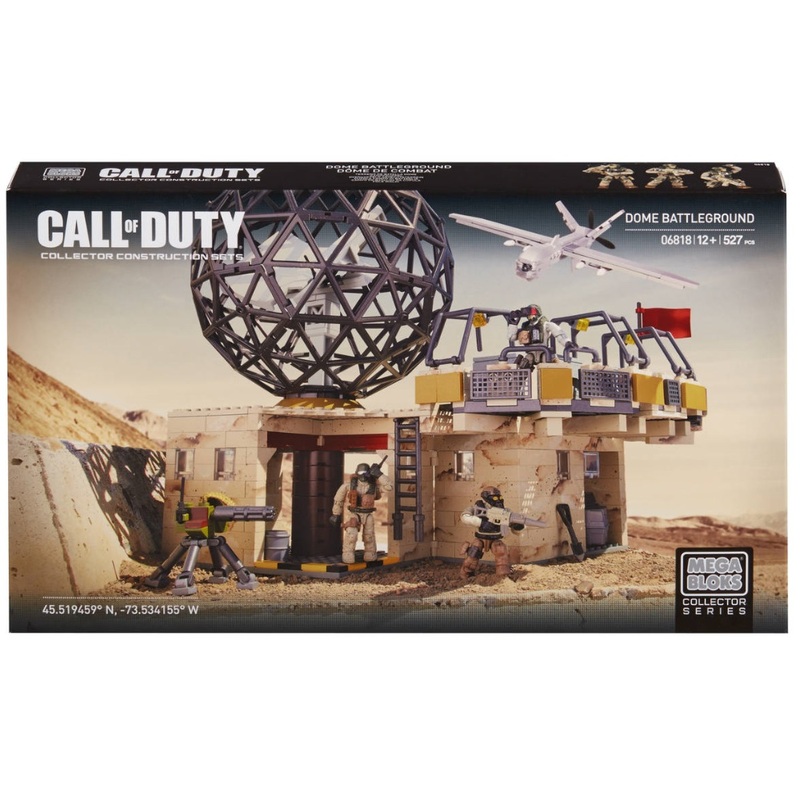 Product Detail Summary: Master Sergeant Sandman and two other specials ops troops move in to secure the Dome Battleground. With two levels to search and secure, the Dome Battleground is a buildable location that measures 12L x 11W x 13H in inches and displays iconic features like the massive rotating domed satellite dish, sniper points, and the red capture flag. The buildable drone is very detailed and comes with a rotating propeller engine. Master Sergeant Sandman and a team of two other special ops troopers possess extreme poseability for any combat scenario, and highly detailed, authentic interchangeable accessories and weapons that allow for mission-specific customization. • Buildable Dome Battleground 12L x 11W x 13H inches with two levels of display, rotating domed satellite dish, cage sniper areas, machine gun turret, and a flag. • Includes 31 highly detailed, interchangeable accessories and weapons like removable combat vests, binoculars, entrenching tool (E-Tool), laptop, walkie-talkie, flashlight, canteen, ammo pouch, combat knives, and more!